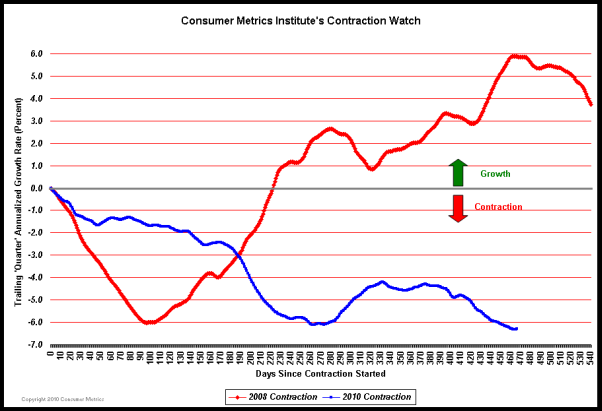 One of the more interesting facets of our current economic situation is that a case can be made that the economy is in a recovery (or expansion), recession, or depression. This entry was posted in Depression and tagged Depression, Gallup on April 29, 2011 by Ted Kavadas. Yesterday, Ben Bernanke gave his scheduled Press Conference. While there were few, if any, disclosures that would be considered “new,” I did feel as if many of his comments were notable. While I could comment extensively upon his remarks of yesterday – as I partially or fully disagree with many of them – I will only address a few items. my comment: While The Federal Reserve undoubtedly has immense collective experience, both on a direct (through observation) and indirect (through research of past economic events), the question I would raise is the following: If our current economic situation is very dissimilar to previous ones, how does that change the value of this experience? I think a very strong case can be made that our current economic situation is (vastly) dissimilar to those previous. Bernanke’s comments on the U.S. Dollar were interesting. After earlier seeming to imply that the U.S. Dollar should be officially addressed by the Treasury Department, Bernanke then later made a few comments. my comment: Many thought that Bernanke’s comments on the Dollar indicate that the strength of the Dollar will “take a backseat” to that of efforts to promote a strong economy. As for myself, I think that the weakening of the Dollar has already caused significant problems, and that the Dollar is highly vulnerable to a substantial decline – one that will prove exceedingly harmful to the economy and financial markets. I have written of this situation extensively. @54:00 there is a question as to the pace of the recovery, in which the “Reinhart and Rogoff book” is mentioned, as well as expectations placed on The Federal Reserve as far as its helping the economy to recover. @57:03 “I do think that the pace will pick up over time. And I am very confident that, in the long run, that the U.S. will return to being the most productive, one of the fastest growing and dynamic economies in the world. my comment: This question and answer largely had to do with the pace of the economic recovery, and the causes as to why the pace appears slow. Much can be said about the conclusions being drawn from the Reinhart and Rogoff book, and how they are being applied to our current situation. As for Bernanke’s claim that “I am very confident that, in the long run, that the U.S. will return to being the most productive, one of the fastest growing and dynamic economies in the world” and that The United States “…hasn’t lost any of the basic characteristics that made it the pre-eminent economy in the world before the crisis.” – I would have liked to have heard more of his thoughts on this issue. Time will tell if this comes about; I will be addressing the issue more in future posts. This entry was posted in Ben Bernanke and tagged Ben Bernanke on April 28, 2011 by Ted Kavadas. The reasons behind Gold’s (as well as Silver’s) price movements is always complex. There are a lot of factors involved. Back on September 22, 2010, I wrote a blog post (on another site) titled “What is Gold ‘Telling Us'”? I have reprinted it below, as I think that it is important to recognize the potential factors involved. Of course, this does not speak as to whether the rapid ascent is sustainable, or ultimate price targets. Many classify Gold’s strong price action as that of an asset experiencing a “bubble” – and as such do not properly heed the fundamentals that may be driving its price action. I have previously discussed whether Gold is in a bubble in this post. Vulnerability of the US Dollar to a substantial decline, discussed in this article. Too much “money printing” – both now and projected in the future. Related to Points 1-3 above, an expectation of high future inflation. Large money flows into the Gold market, which is relatively (in proportion to other asset classes) small. This entry was posted in Investor and tagged gold on April 27, 2011 by Ted Kavadas. In various past posts I have written of the challenges businesses face in pricing, given today’s economic environment. One aspect that I mentioned in the December 16 post was how the PPI (Producer Price Index) growth was significantly outpacing that of the CPI. I believe that what this chart depicts is notable in a variety of ways. As shown, we are experiencing a unique situation, and are near historical peaks in both the index levels and the 12-month MA as shown. This entry was posted in Business and tagged cpi, pricing on April 25, 2011 by Ted Kavadas. I’ve recently read the book Toward a Truly Free Market by John Médaille, a book that largely expounds on the economic concept of (Neo)Distributism. First, although I agree with various facets of Distributism – as it is presented it in the book – I would not consider myself a believer in the overall concept, for various reasons. Second, there are various analyses and conclusions within the book that I don’t agree with. Notwithstanding these three points, this book is unique in many ways and is very notable. I could write extensively about it, but for now I will summarize my thoughts. The book focuses on what an economic system should be, and uses a variety of arguments and cites economic theory spanning centuries. It is critical of our current economic model on a number of fronts. It also introduces various theories that are quite interesting and thought-provoking, and are especially relevant to our current economic situation. As well, it offers many suggestions and examples of what a “Distributist” economy would look like. In aggregate I view this book as very valuable. I do believe that this book and its suggestions are (at the very least) worthy of serious contemplation. This entry was posted in Uncategorized on April 21, 2011 by Ted Kavadas. When Will Hiring Substantially Improve? One is led to wonder when hiring will accelerate at a substantial pace. A recent Deloitte survey of CFOs (the Q1 “CFO Signals” report) and their opinions on factors impacting domestic hiring may be an indication. On April 14, The Wall Street Journal RTE blog summarized the report’s finding on the issue in “CFOs: Revenue Boost Needed to Boost Hiring.” As seen in the story, “The quarterly survey released Thursday found that nearly half of respondents would seriously consider adding employees if revenues rose 20%, but few would be moved by a 5% increase. A 10% bump in revenue would only be a major hiring consideration for 11% of CFOs.” The story also contains a table indicating other factors and their importance in hiring. 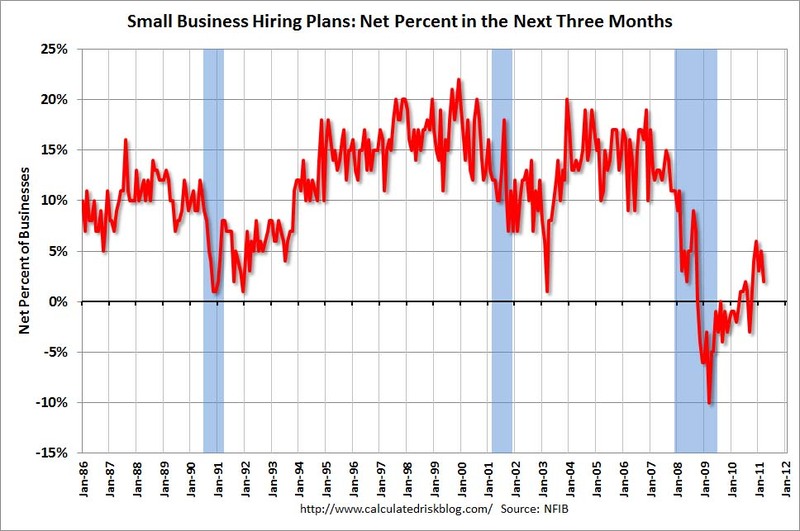 The Deloitte survey, if representative of the overall hiring environment, seems to indicate that a robust amount of hiring will not be occurring for a while – and that assumes that economic growth continues. 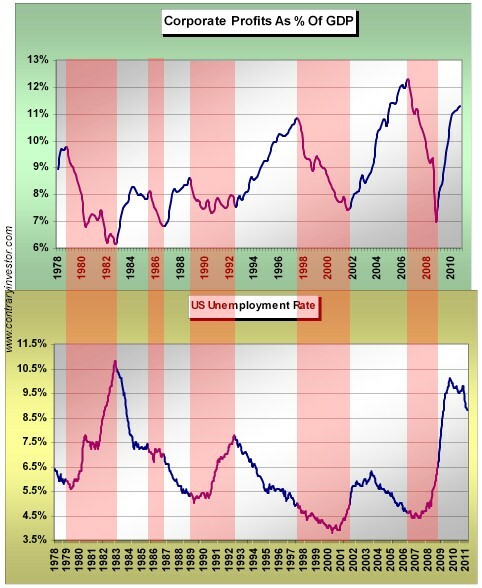 Another facet of this hiring situation – one that I haven’t heard mentioned, is the following: Given that unemployment is so high despite the high level of corporate profitability, what does the future hold for unemployment trends if / when corporate profitability declines? There are many facets of this unemployment situation that go unmentioned. Unemployment remains a very complex issue and is far more problematical than generally acknowledged. This entry was posted in Unemployment and tagged Unemployment on April 20, 2011 by Ted Kavadas. I find the most notable aspects of this survey to be in the survey detail (spreadsheet), in which the economists judge factors that have recently adversely impacted the economy, and also predict whether President Obama will be re-elected in 2012. 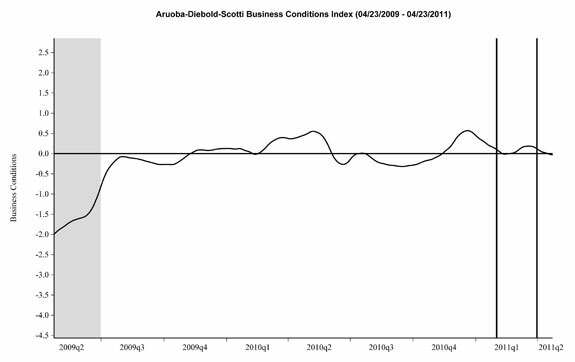 This entry was posted in Economic Forecasts and tagged Economic Forecasts on April 19, 2011 by Ted Kavadas. 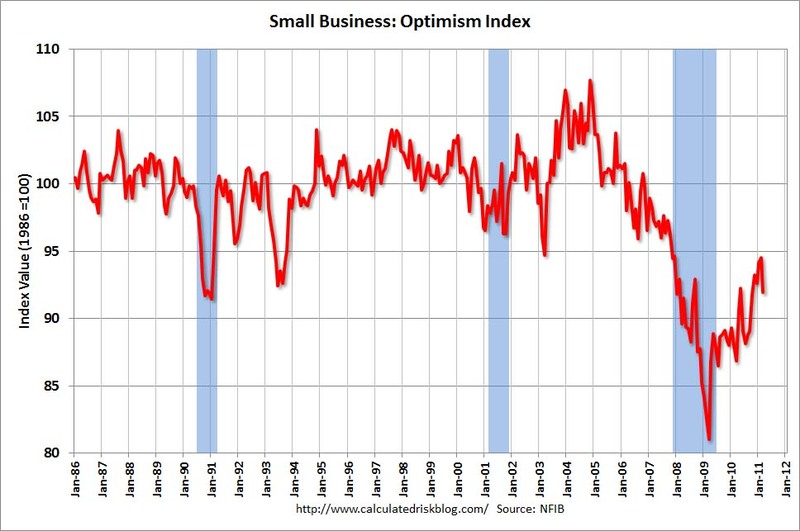 The Index of Small Business Optimism declined 2.6 points in March, falling to 91.9. 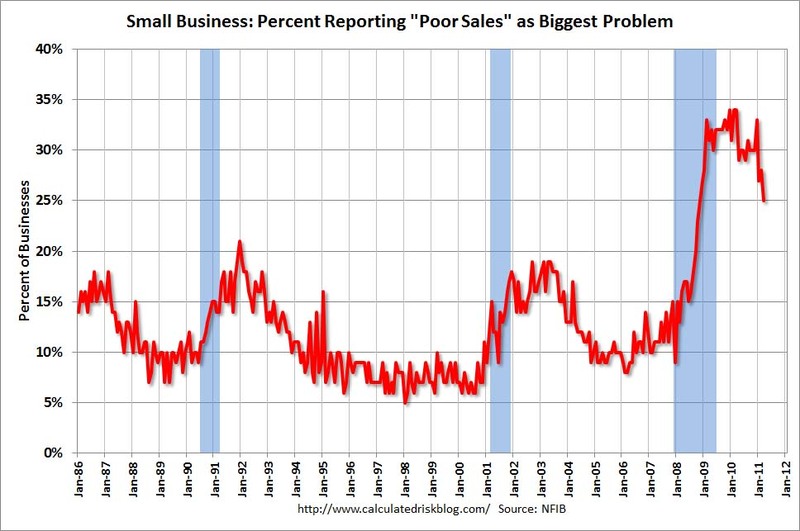 My previous posts concerning the business environment and challenges for small businesses were on January 12, and in 2010 October 18, and April 15. This entry was posted in Business and tagged small business on April 15, 2011 by Ted Kavadas.